Since I've ended my photography blog, I thought I would redo some of the favorite posts here. This is an everything blog, so photography stuff will fit in. Eventually, I hope to get up some of the favorite tutorials. Notice that I said, "eventually." I'm really not fast with getting multitudes of things done. That's why there has been a load of clean laundry laying around for the last week. I've pared down my photography equipment and props by the loads. I emptied containers of newborn props from under my bed and in my closet. Now I've just got one container of special things and I use all of what I have. My camera. It's the Nikon D3100. It's a lower-end DSLR and a crop sensor camera. You can rock end a low-end camera and take some pretty fantastic portraits with it. 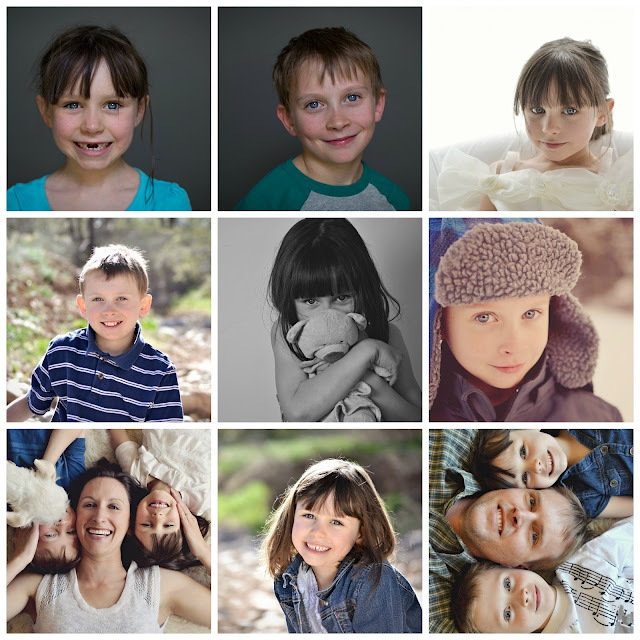 Just don't use the kit lens (18-55mm), you need to invest in a prime lens for portraits. I also have a Canon EOS-M that I adore. It's a mirrorless camera that is easy to take places. My favorite lens. The Nikkor 35mm F1.8. This is a lower cost prime lens. (I about choked...saying $199 is low!? But there are lens that are over $1000!) I love this lens! It's on my camera 90% of the time. There are other focal length primes lens out there, but I went with the 35mm because of the crop sensor on my camera. A 50mm would be a good place to start if you have a full sensor camera and want to get a prime lens. 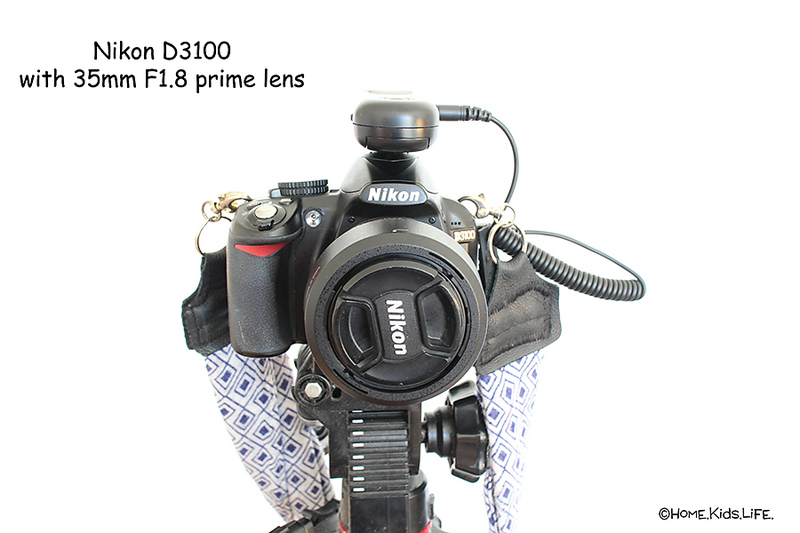 Prime means that it is a lens that only has one focal length. My favorite speedlight. I adore natural light, but sometimes you want a little oompf. A little help. A little boost in the light. I avoid the on-camera flash because it isn't flattering. A speedlight is awesome! Mine is a Yonguno 468-II for Nikon. I've had this baby for years and it's still working. I love it! 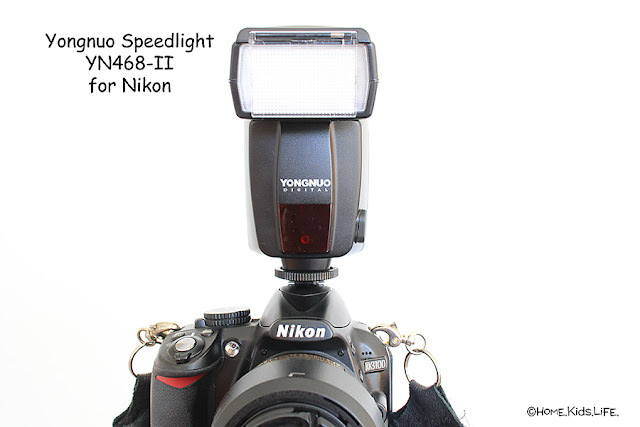 Here's a similar one: the Yongnuo Speedlight YN 560 III. 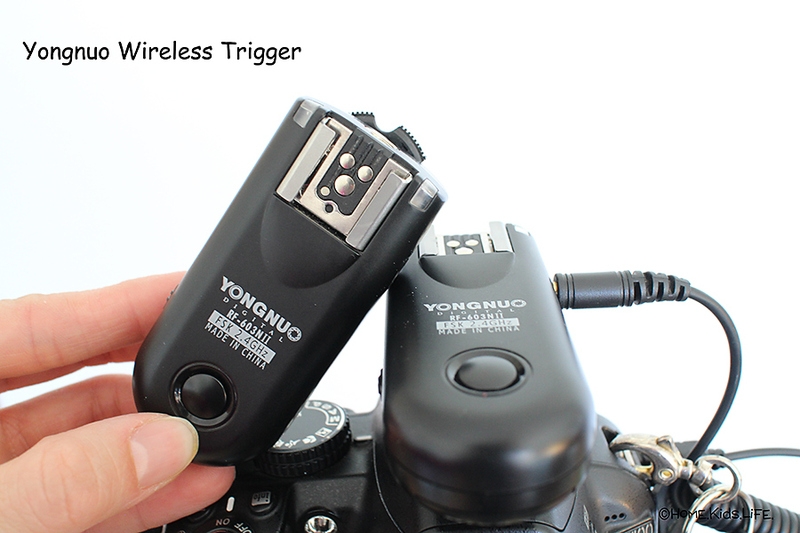 My favorite wireless trigger kit. 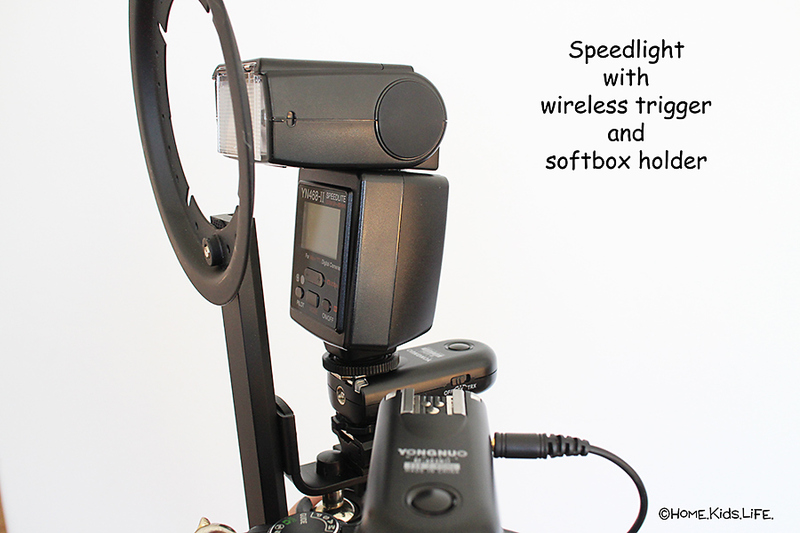 A wireless trigger kit is pretty much the chocolate sauce on top of your real vanilla icecream. Seriously, I don't know how I functioned without this. I can use it as a remote trigger to take self-portraits of my family. My kids use it to take their yearly selfie photos for our Valentine's card. Even better....I can use it to make my speedlight trigger off camera. Yes, I can have an off-camera flash with this wireless trigger. I have the Yongnuo RF-603 II 16-Ch Wireless Flash Trigger for Nikon. I purchased a stand and a softbox for the speedlight that gives me a cheapo off camera flash system. I'm not going to recommend the softbox I have, but it's tiny and packages up small. My favorite white balance system. 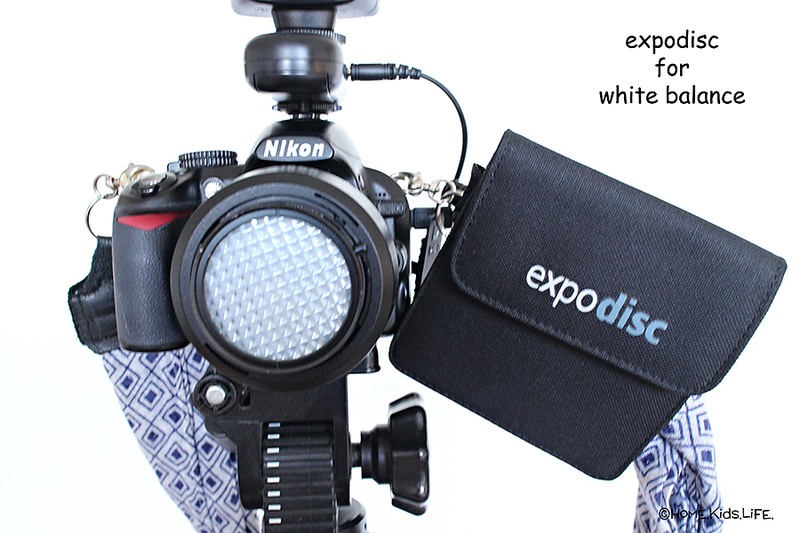 I use an ExpoDisc for all my portraits. It does make a difference, I love it! For snapshots, I use auto white balance. My favorite cleaning equipment. I use a rocket air blaster, Nikon lens pen, and an unused toothbrush. Rocket blasters are so much fun, I love that thing! My favorite editing program. I use Photoshop Elements 11. You can probably tell that I go with the basic and low cost stuff. I like it and I'm happy with it! Currently, there is an Adobe Photoshop Elements 14. I occasionally use PicMonkey (the free version) when I need something quick and online. I love their collages, they're very useful for a blog! Other stuff. I also have a reflector that I use for portraits. It's a 5-1 system that folds down small. I won't recommend the one that I have because it pretty much fell apart quickly. I jimmie-rigged it back together with safety pins and still use it. I'm thrifty like that. I also have a backdrop stand that I use once in a while. I have two rolls of Savage seamless paper backdrops that I use. I hate dragging out the backdrop stand and rolls of paper, but they sure do make a difference in portraits! I use the thunder gray every year for my kids' school portraits. I also have the bone white and love it. Bascially, whether you have high-end equipment or low-cost equipment....Rock What You've Got! Hi Chrissy, this post is a great reminder that we'd don't need $$$$$$ to take fabulous work. These posts are so helpful in getting the most out of what you have. You're too sweet, Annika! Thanks for following me over here. I'm all about making the best of what you have. If you'd like to see a tutorial make a comeback, let me know which one. Happy Photographing! Thanks, the accessories looks amazing! These could be the best photographer gifts without fail. I will gift anyone of them to my brother.